The perfect quilt pattern for any cat lover, or future cat lover, in your life! 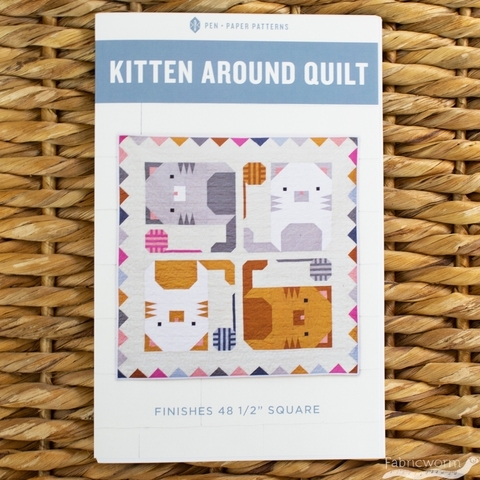 Quilt finishes 48 1/2" square and uses conventional piecing with the exception of the whiskers section in each kitten which is paper pieced. 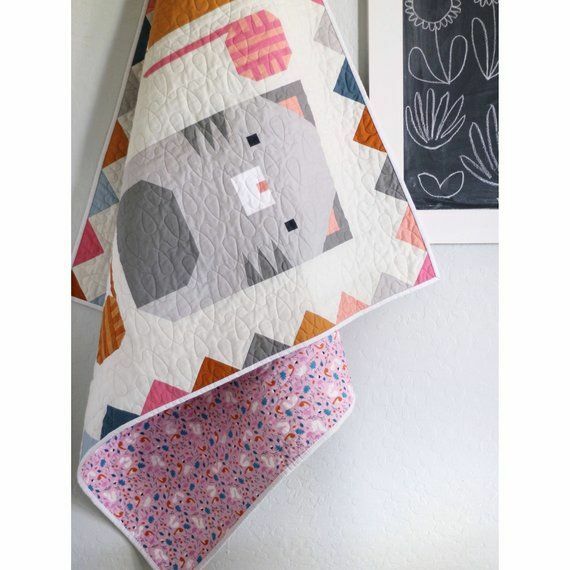 Directions are provided for replacing the paper pieced sections with one piece of fabric if desired. 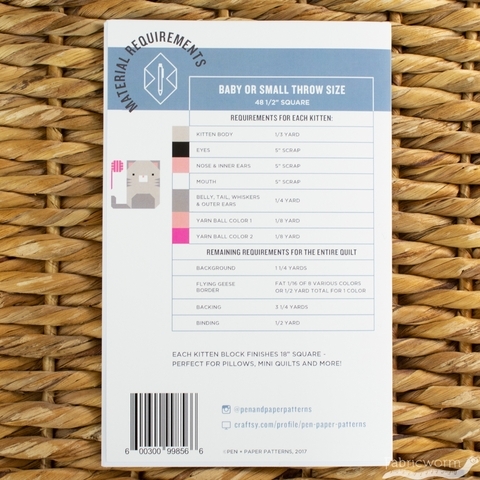 Each kitten finishes 18" square - perfect for minis, pillows and more!